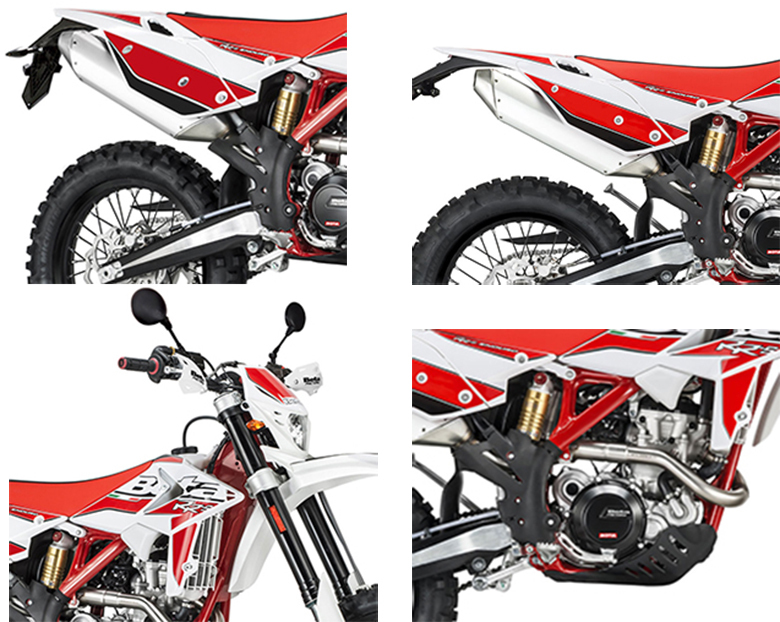 The Beta brand is one of the Best Dirt Bike Brand in the World, and it has launched the number of unusual bikes. Its new Beta 2018 390 RR-S Dirt Bike is not only light in weight, but it provides better performance than ever before. The Beta engineers worked hard to make this dirt bike remarkably lighter in weight with better performance than previous models. 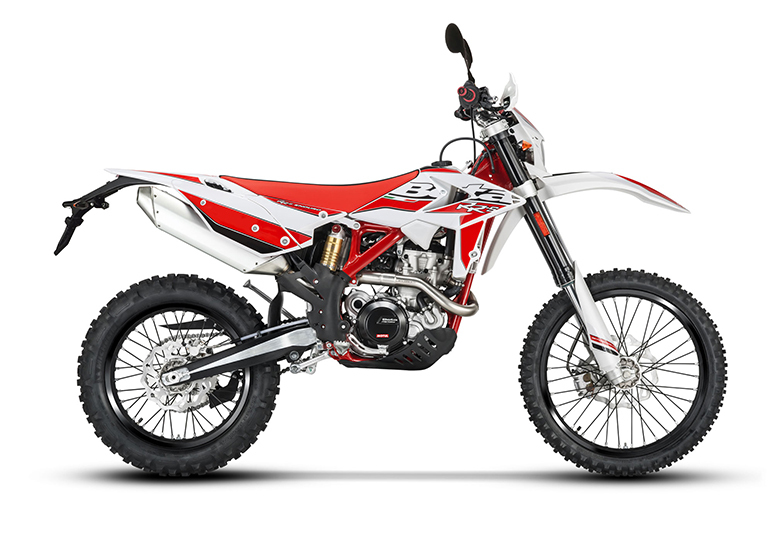 It is about 4.7 kg lighter for the 2-stroke version. The review of new Beta 2018 390 RR-S Dirt Bike with its price and specifications are given below. The new Beta 2018 390 RR-S Dirt Bike features the high performing engine that not only provides greater power but massive torque as well as in 2018 Beta 390 RR-Race Edition. Its engine is about 1.7 kg lighter than the previous model. The new compact and lighter weight clutch has been used, which is capable enough to give outstanding precision and stability. It uses an extremely tapered external clutch cover making the lines even more graceful. The Kick-start have been removed from the bike, and all-new electric starter system has been introduced which makes the starting easier like never before. The new gear shifting system gives better precision of the transmission eliminating any possible uncertainties when shifting gears. An all-new filter box makes this dirt bike even more interesting. Both of the bikes, i.e. 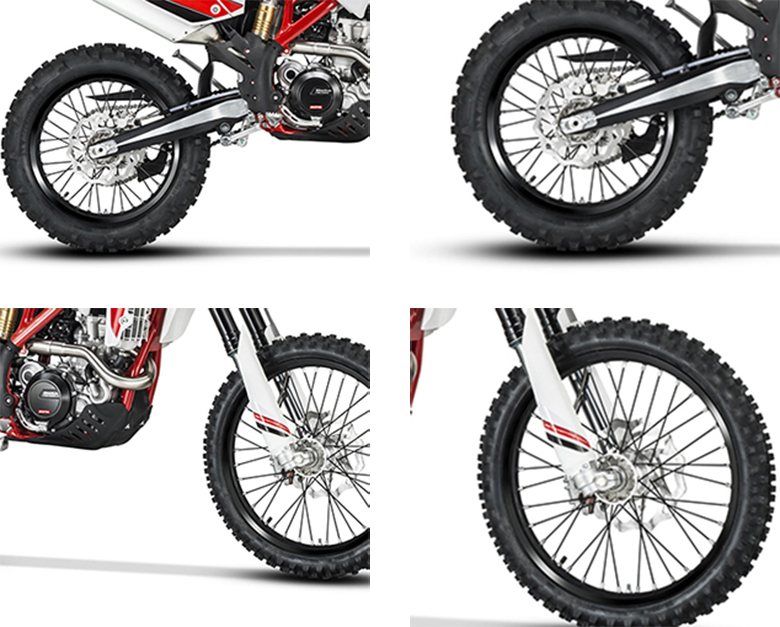 2-stroke and 4-stroke versions are uniquely designed. The new Beta 2018 390 RR-S Dirt Bike features the robust, slim and compact frame that provides an aggressive look. The front-end has been completely redesigned to ensure an outstanding rigidity as compared to previous versions. This thing also reduces the overall weight of a new Beta 2018 390 RR-S Dirt Bike. The slimmer filter box provides even more aggressive look. The new lithium battery is not only light in weight, but it is robust and reliable. The lighter fork with the new fork sleeves has been developed to increase rigidity and improved sliding. 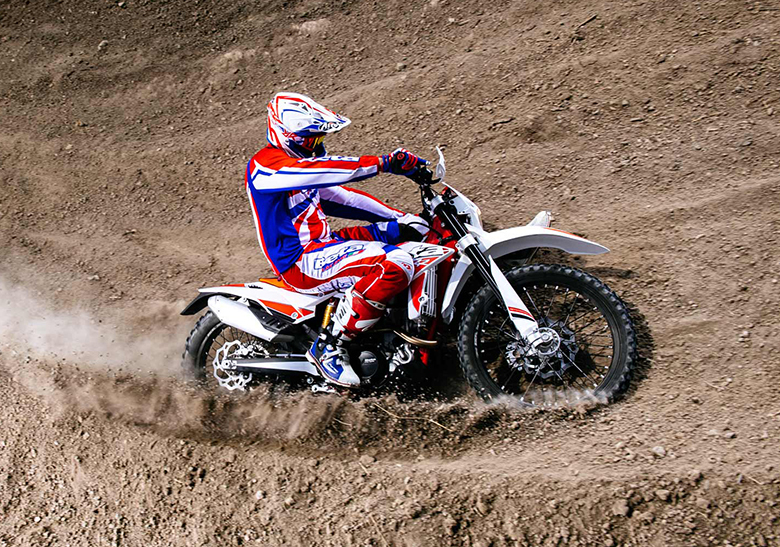 The new mono-shock absorber with the new settings has been adapted according to the need of the rider. The new and revised external profile with an internal layout muffler has been used to improve the engine performance, especially at lower rpm. An improved skid plate fastener accessibility for quicker removal is being used. This muffler contains the new heat shield that protects the rider from the burn. Excel rims with the new opaque black finish have been designed explicitly by Beta brand. The new Beta 2018 390 RR-S Dirt Bike is available with the price of $9,799 only. Type Single cylinder, 4-valve, (titanium intake and exhaust), 4-stroke, liquid cooled, cooling fan, electric start. 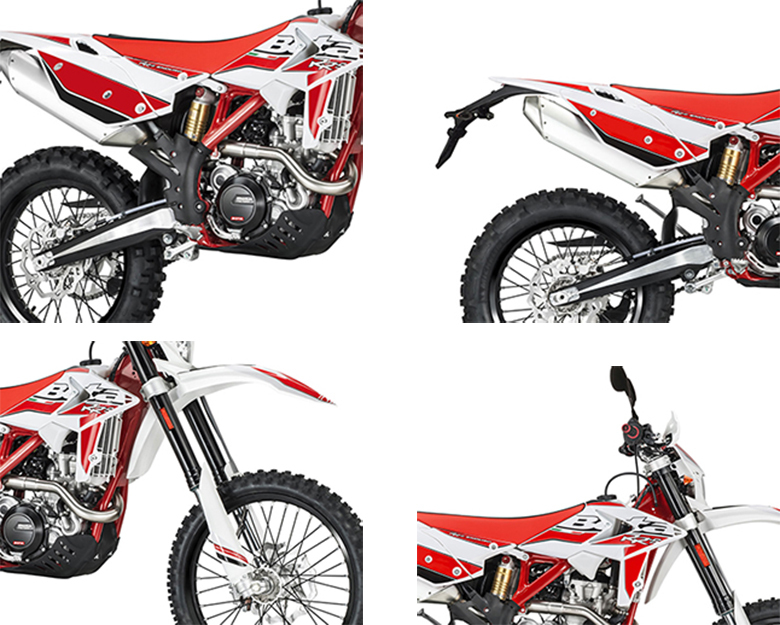 This article provides the full review of new Beta 2018 390 RR-S Dirt Bike, and it is covered under Bikes Catalog. It features the powerful and high performing engine that has been carefully designed which makes it light in weight. The frame is sturdy while ensuring an aggressive look. The seat gives better riding experience and maximum rider freedom. 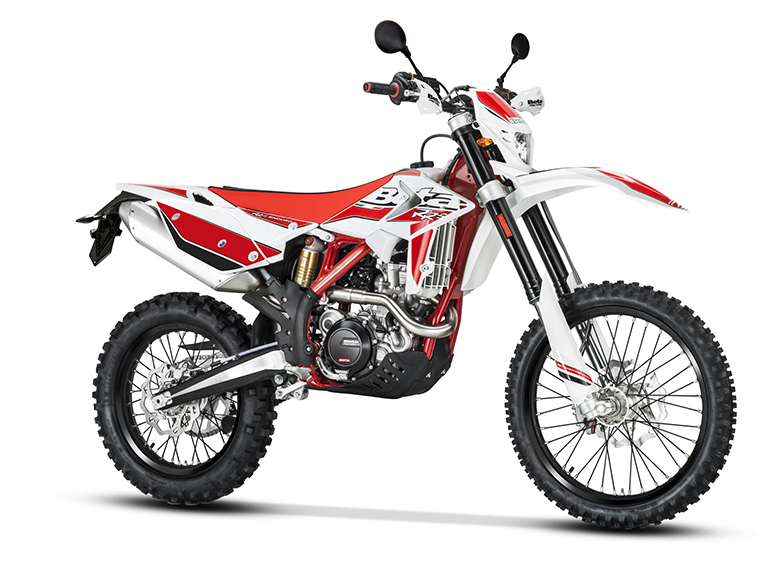 That rider who want power and agility should think about the new Beta 2018 390 RR-S Dirt Bike.